This involves placing equipment (protection) into cracks and holes in the rock while you climb, the 2nd climber then removers the equipment. Although each of our courses are tailored to the participants, a certain level of rock climbing experience is required before attending this course. 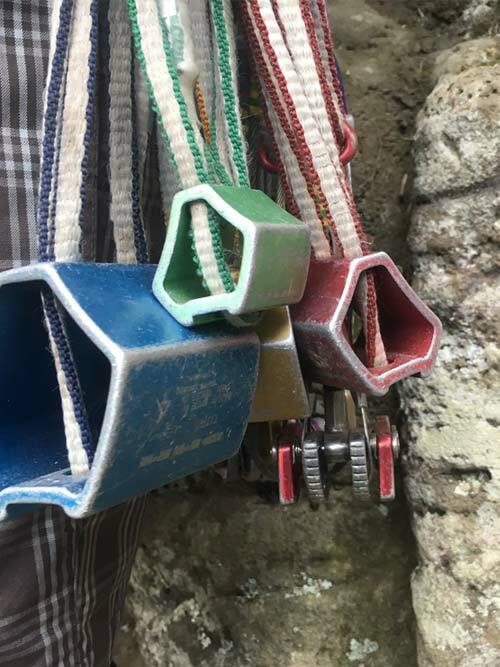 Covering placing and removing equipment such as camping devices and wires or nuts, how to extend runners, the process of belay from the top including setting up anchors, Wanaka is known as a sport climbing (climbing on bolts) destination this results in the climbs that are left as trad climbs being great climbs with easy to place protection on them.